Swami Vivekananda regarded the neglect of the masses and neglect of women as the two main causes for the downfall of India. 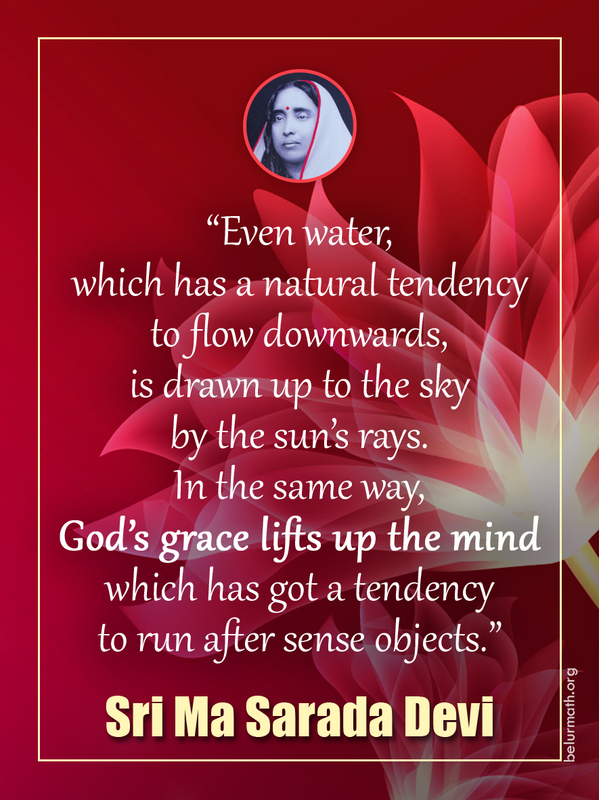 He believed that the life and message of Holy Mother Sri Sarada Devi had great significance for the uplift of women. In one of his letters to a brother monk, Swamiji wrote: ‘Mother has been born to revive that wonderful Shakti in India; and making her the nucleus, once more will Gargis and Maitreyis be born into the world.’ On several occasions he expressed the wish to have a separate women’s monastic order on the lines of Ramakrishna Math, with Holy Mother as its ideal and inspiration. Swamiji’s wish came to be fulfilled nearly half a century later. As per the decision taken by the Trustees of Ramakrishna Math, a group of women, who had been leading a life of renunciation and service for several years, were given the vows of Brahmacharya at Belur Math on 27 December 1953, the sacred birthday of Sri Sarada Devi, which was also the day of inauguration of the year-long celebration of the Birth Centenary of Holy Mother. On 2 December 1954 a new monastic order for women, known as Sri Sarada Math, was started at a place on the eastern bank of the Ganga, a little away from Dakshineswar Kali Temple. On 1 January 1959, on the birthday of Holy Mother, eight senior members of Sri Sarada Math were ordained Sannyasinis at Belur Math. Ramakrishna Math, and has since then been functioning independently with its own Board of Trustees. In May 1960 the Sannyasinis established the Ramakrishna Sarada Mission. Both the institutions carry on spiritual, cultural, educational, medical and charitable activities among women and children.